The construction law firm services, counsels, and advises the construction industry, including contractors, sub-contractors, design professionals, manufacturers, and material suppliers. The firm primarily deals with contract claims, disputes, avoidance, and resolution together with State and Federal litigation, arbitration, commercial litigation, business law, and real estate issues. Typical claims include licensure, foreclosures, claims of lien, DBPR complaints, bidding, delays, construction defects, contract preparation and negotiation. 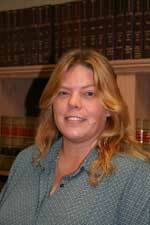 Ronald E. Kaufman is a partner with the law firm of Gilbert and Kaufman. Mr. Kaufman received his Bachelors Degree from Florida Atlantic University in Boca Raton, Florida. He received his Juris Doctorate from the University Of Miami School Of Law in Coral Gables, Florida. Mr. Kaufman is admitted to practice in all state courts of Florida, as well as in the Federal Courts for the Southern, Middle and Northern Districts of Florida. In addition to being admitted throughout the State of Florida, Mr. Kaufman is admitted to practice law in the great state of New York. 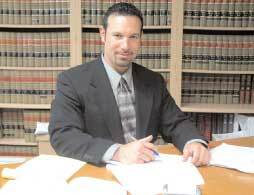 Mr. Kaufman is a member of The Florida State Bar, the New York State Bar, the Broward County Bar Association, the Dade County Bar Association, the Broward County Construction Lawyer's Association and the American Bar Association. Mr. Kaufman’s practice is based in litigation in the state and federal court systems, with emphasis in Construction Litigation, Real Estate Litigation, Commercial Litigation, Real Estate transactions and Business law. 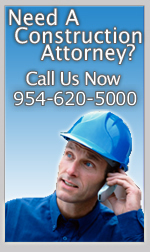 He handles a wide range of construction related matters including contract drafting and review, complex construction actions, construction site abandonment, non-payment disputes, defective construction, business disputes, and DBPR complaints and defense. Mr. Kaufman’s real estate practice consists of a wide range of real property matters including commercial and residential closings, issuing of title insurance, quiet title actions, foreclosure complaints and defense, landlord tenant actions and contract drafting and review. Bryce Gilbert, a native Floridian, is a junior associate with the law firm of Gilbert & Kaufman, P.A. Bryce Gilbert is a Certified Master Plumber and a Certified Utility and Excavation Contractor. He received his Juris Doctorate from Nova Southeastern University, Shepard Broad Law Center. Bryce Gilbert’s practice is based in litigation in the State of Florida and he focuses his practice in the areas of Construction law, Contract Law, and Employment Law. 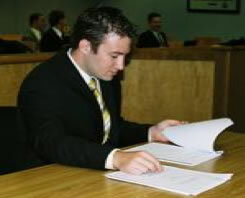 He also deals in the preparation and execution of evidentiary presentations, computers, computer graphics, image enhancement, electronic presentations and displays for trial preparation and courtroom viewing. and oversees files, correspondence, databases, and records, and leads and trains staff, as appropriate to the area of operation.